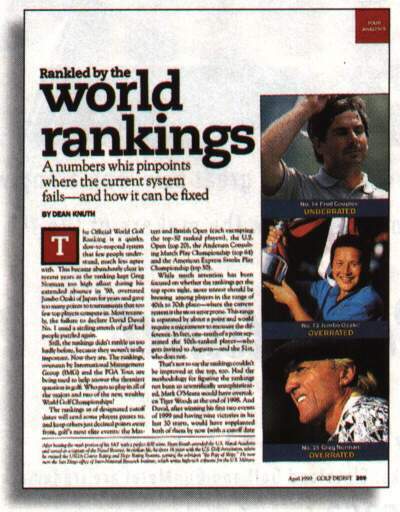 In tweaking the Official World Golf Ranking in September, the PGA Tour and its advisors addressed some of the concerns raised by handicap guru Dean Knuth in GOLF DIGEST in April, but skirted or postponed others. The most obvious problem of points not decaying on a gradual basis to reflect more current play was fixed, but won't take effect until 2001. "How much time do the players need to adjust?" asks Knuth. The overweighting of the Japanese and Australasian tours, however, remains.